Scroll down to view the best purchase opportunities in today’s luxury yacht market. Worth Avenue Yachts is the Central Agent for the following luxury yachts for sale. Some yachts are built for people who love to go fast, while others are designed with ultimate sunbathing in mind. Some have multiple dining areas for hosting parties, while others have theatre-quality cinema rooms for the family night at the movies. Some are created with sail plans that win regatta races, while others are stacked with motor yacht luxuries such as elevators and spas. No matter what you want to experience from your yacht, there is a yacht that has been designed to accommodate your wishes. 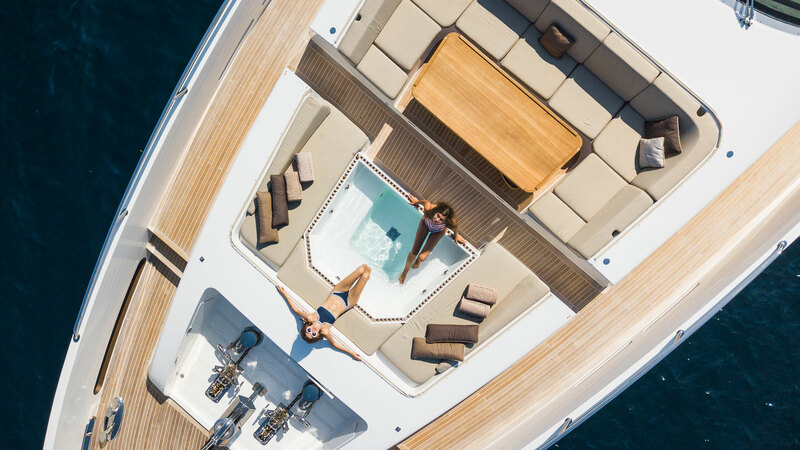 Our skilled Yacht Brokers are on hand to discuss any of the luxury yachts for sale listed below and can arrange a private viewing at your convenience. To help you hone, your search ask us to put a customized presentation of luxury motor yachts for sale together for you, dedicated to your specific preferences. To get in touch please fill in our yacht purchase inquiry form or contact us at one of our yacht brokerage offices.